When creating useable spaces for all abilities it is now a requirement that all commercial and public developments have tactile indicators placed at access stairs and ramps. 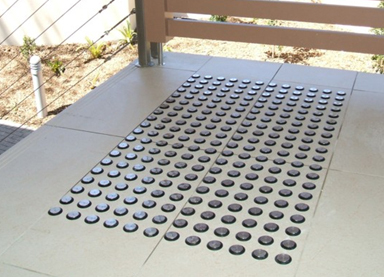 Designed to ensure people who are visually impaired are able tofind their way around key locations, the tactile ground surface indicators are essential components in the design ofcommercial premises, public transport locales, government buildings and city centres. 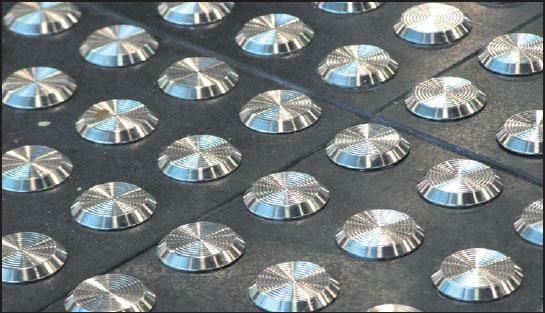 Stainless Steel Projects Pty Ltd are experts in designing and installing tactile indicators in all commercial locations. Meeting all Australian standards and the Building Code of Australia, Stainless Steel Projects work with all our clients to manufacture and install tactile indicators in Melbourne. This process is clearly focussed on the individual location and the commercial use of the premises. Stainless Steel Projects design tactile indicators using a range of materials, including stainless steel which has proven to be the most durable and long lasting product for tactile indicators. We understand what our commercial partners need from our products and we are committed to creating tactile indicators that last the test of time.